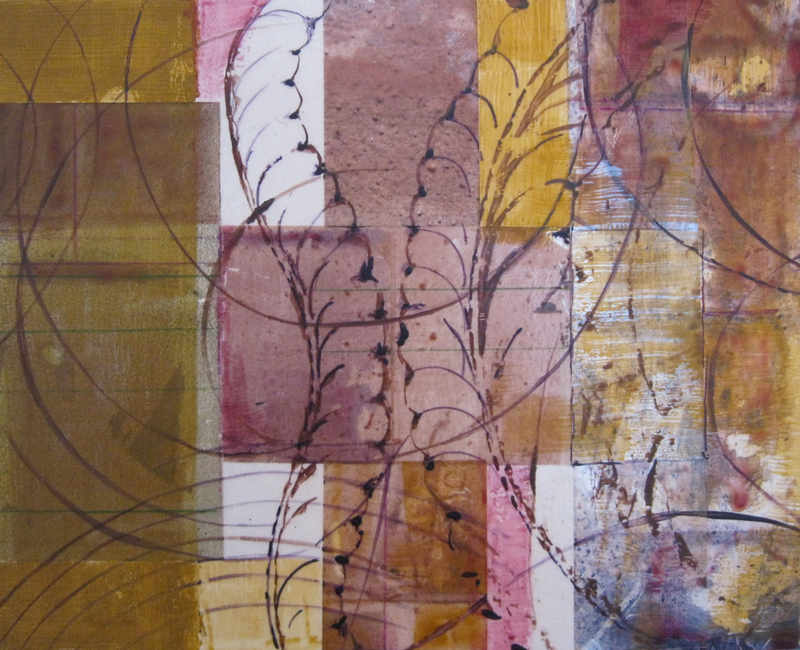 Mixed media techniques answer an ongoing need for a working method with maximum immediacy, allowing me to impose quick decisions and move beyond the formality of painterly representation. 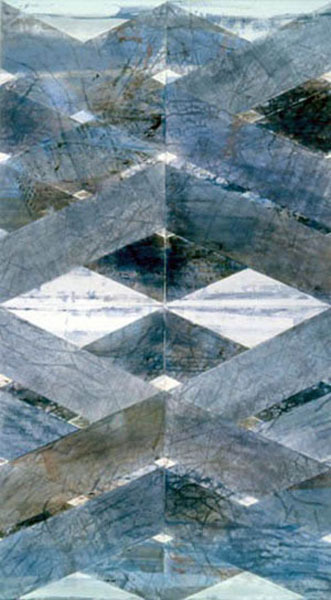 It reflects a composite sensibility based on fragments of visual memory. 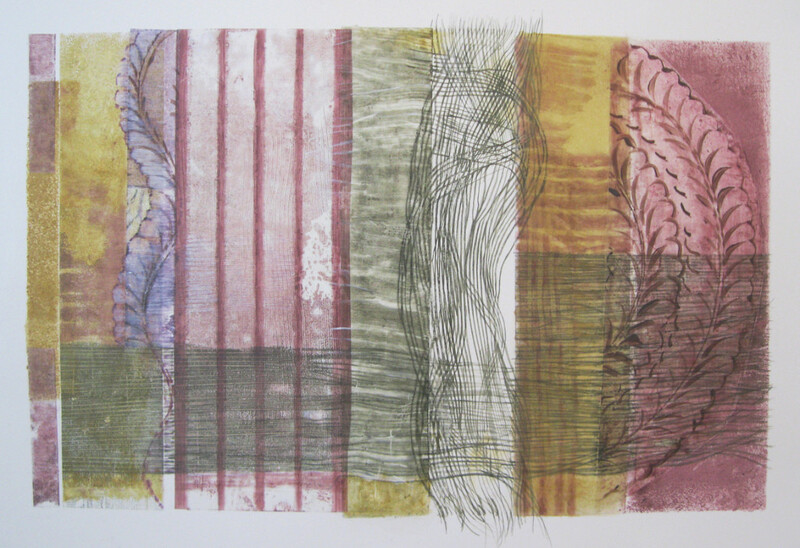 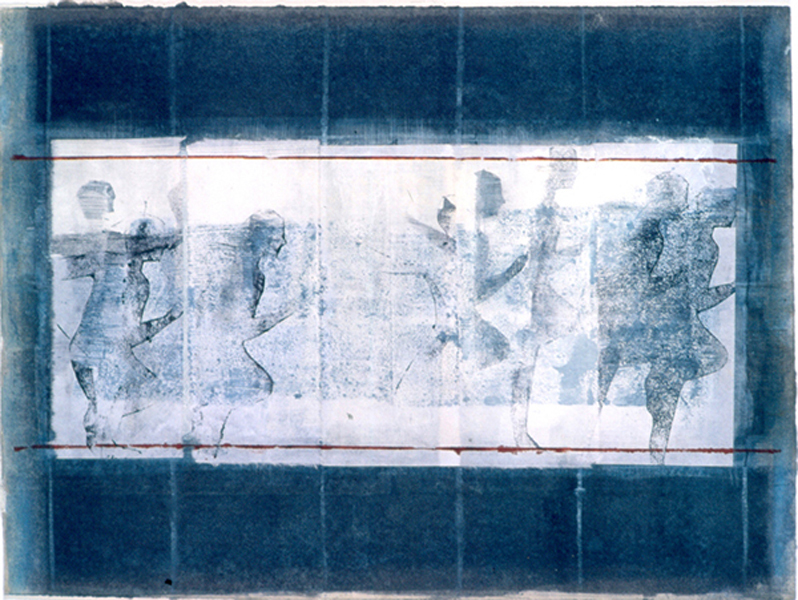 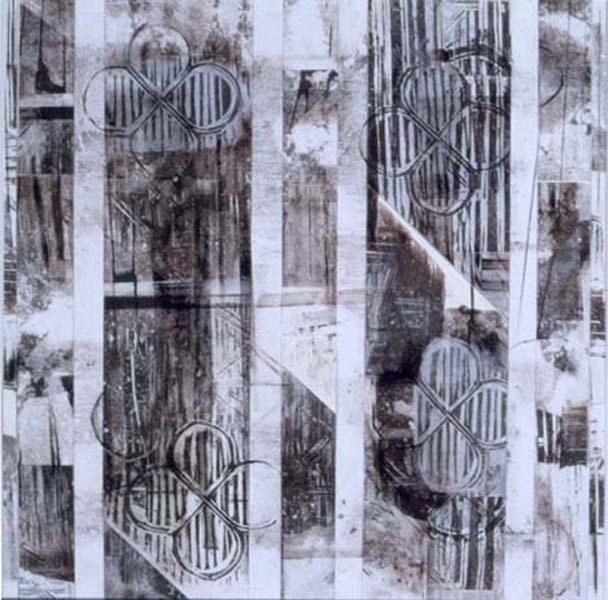 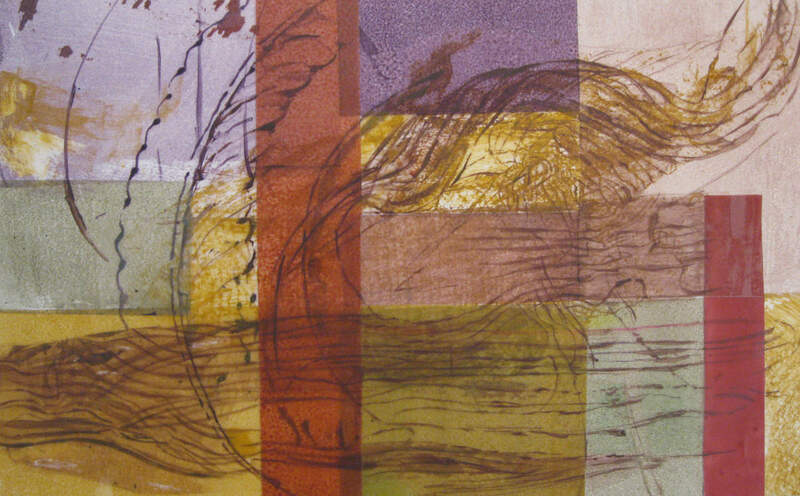 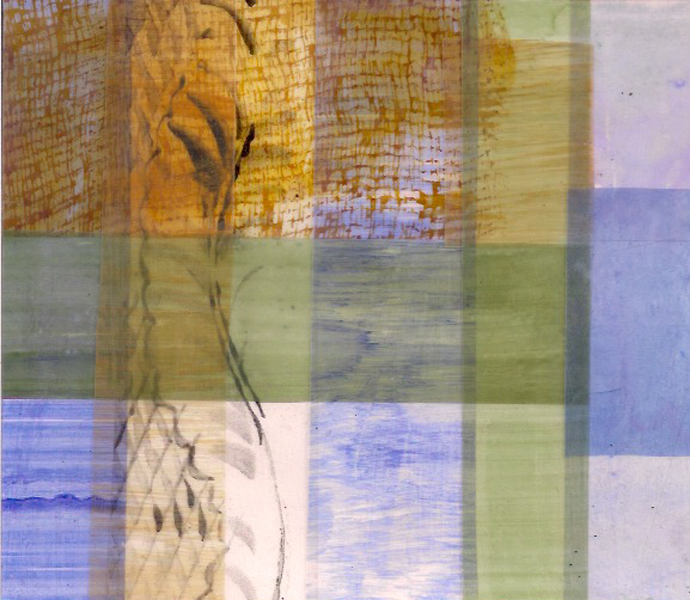 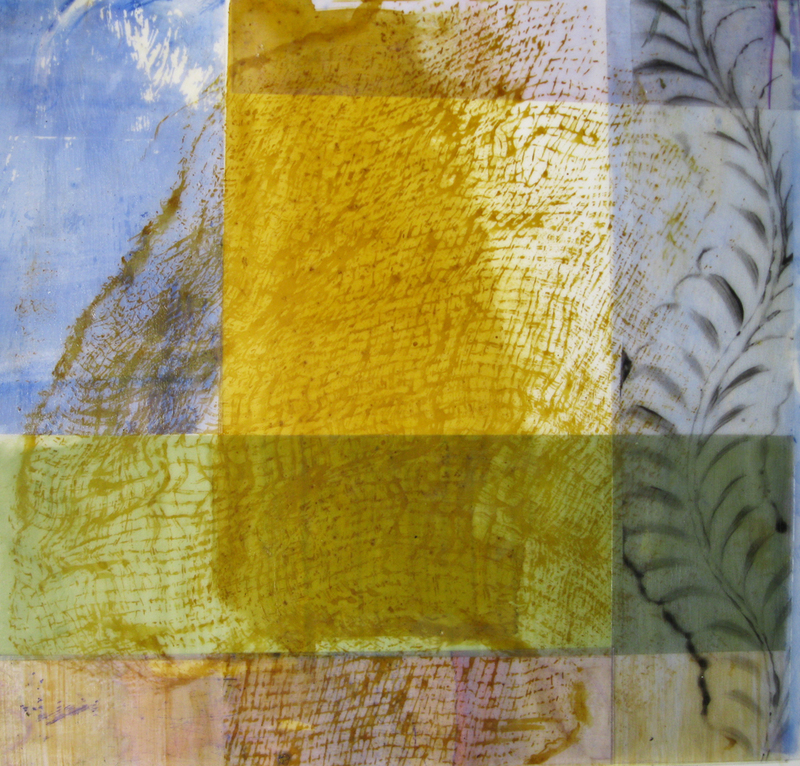 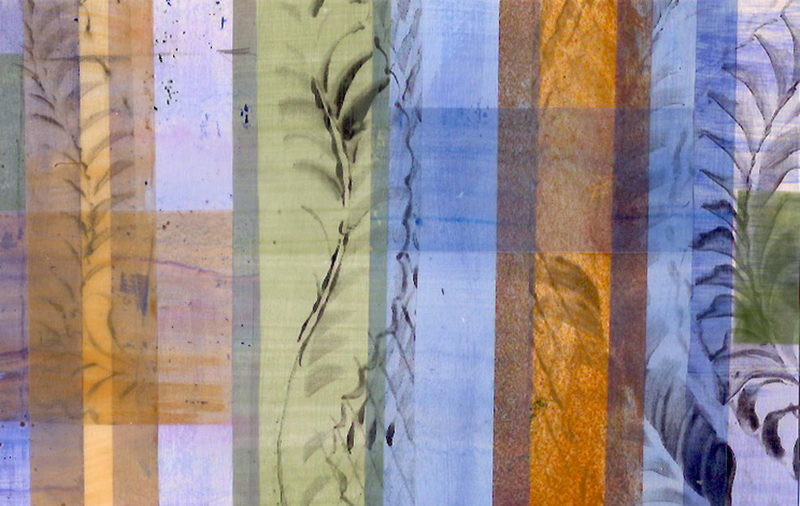 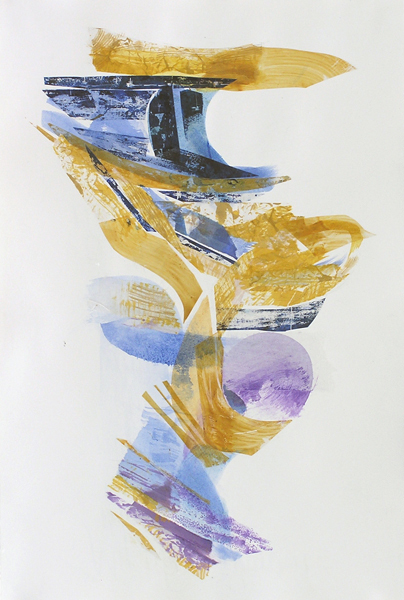 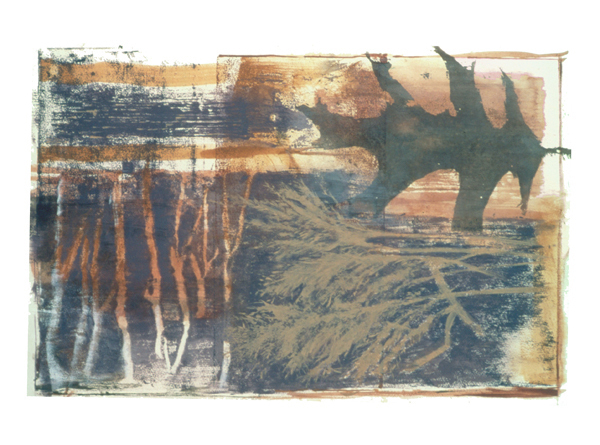 Using transparent, pliable materials such as mylar and rice paper, I combine techniques from painting, monoprint and collage. 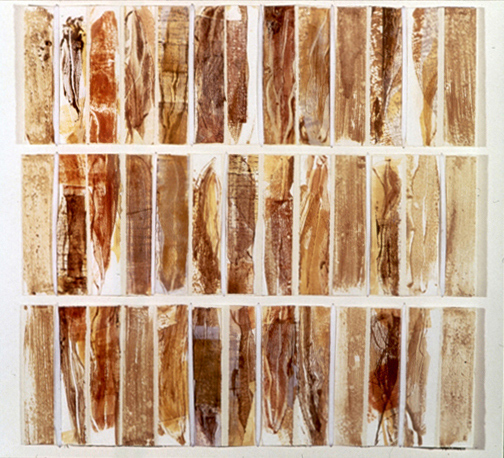 Some of these were done as finished works, from 2000-2008. 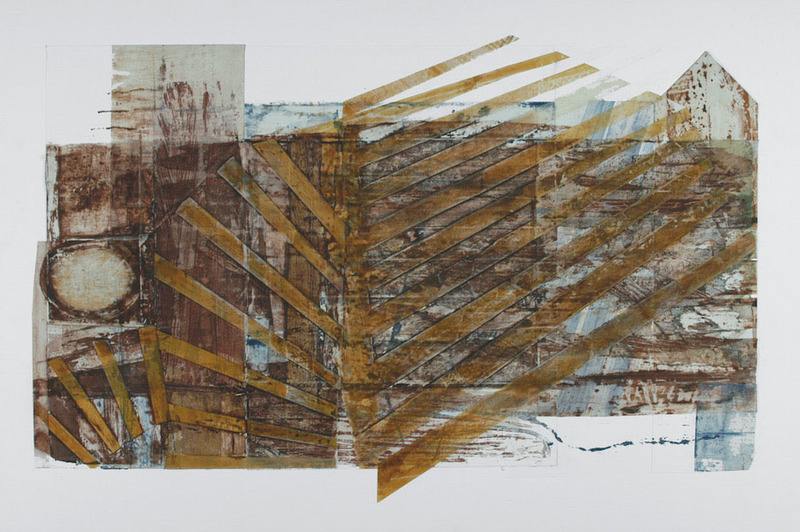 The first 9 and most recent collages are from 2017/2018 and represent small-scale experimental studies combining some of the quilt motif imagery with improvised line, shape and texture from previous sources. 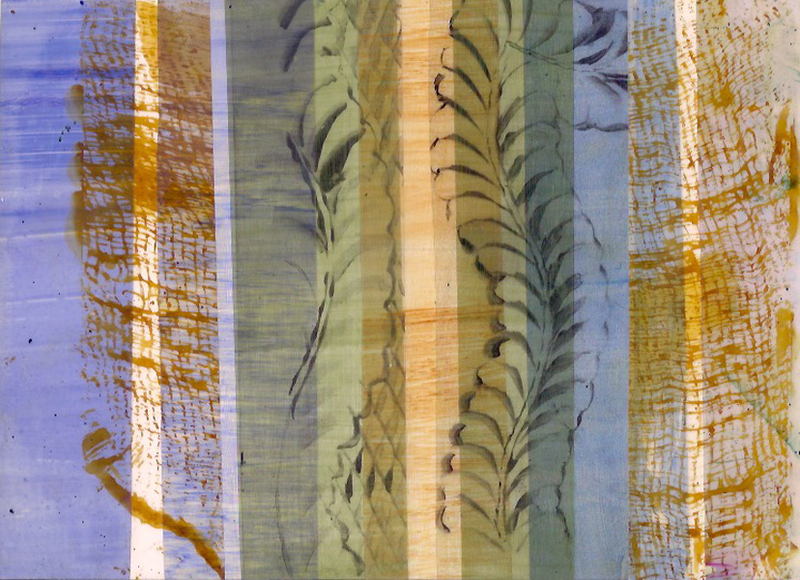 With their combined imagery, I call them Restless Forms. 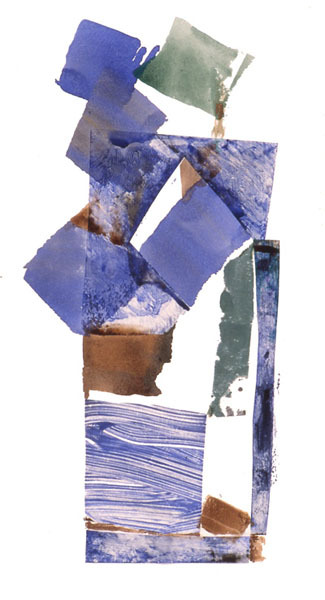 collage study#5 duralar, 8 x 8"
collage study#1 duralar on paper, 6 x 10"
collage study#3 , 8x 10" duralar on paper, 8 x 10"
collage study#2 duralar on paper, 6 x 8"
Happiness / 24 x 16" mylar and rice paper mounted on board; collaboration with writer Steve Press "